Deep in the Nevada desert is the most secure compound in the United States: Area 51. 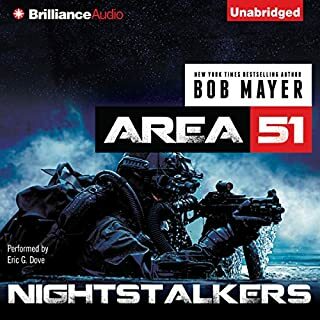 Former Green Beret Mike Turcotte, assigned to Nightscape, security for Area 51, begins to realize things aren’t as they seem. Deep inside the Great Pyramid in Giza, an archeologist makes a startling discovery in the lowest chamber. On Easter Island, what are the giant statues guarding? What was Thule and why were the Nazis so intent on finding it during World War II? What are the strange stones off the coast of Bimini? All these clues and more add up to a frightening countdown that could bring about the end of our planet. Turcotte and Presidential Science Adviser Lisa Duncan must race against time to save the world from the secret hidden at Area 51. 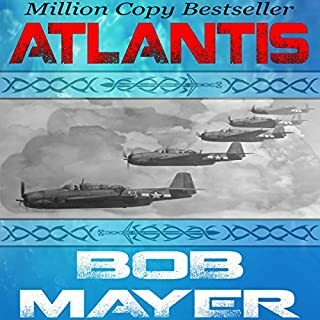 Over 1.5 Million copies of Area 51 sold—also author of the best-selling Atlantis series. I actually enjoyed the book quite a bit. It has some very bizarre ideas but I think that they are connected fairly well. There are a few loopholes but I think that the book was well worth the money and time. It will be interesting to see hoe the rest of the series plays out. Would you try another book from Bob Mayer and Robert Doherty and/or Jeffrey Kafer? Didn't even come close to the setup. Did Area 51 inspire you to do anything? Not buy another book from him. There are many threads being pulled together to weave this story. Although they all worked from a plot perspective, the story was unsatisfying. There were hours and hours of setup, the sort of thing that usually happens in the first third of a book, only here it was the entire novel. There were no surprises, just a hash of all the expected "woo" elements: Nazis, pyramids, UFOs, Atlantis, ancient runes, government coverups, etc. Maybe the author wanted to connect every fringe theory on the internet in one story, thereby getting all the niche markets at once. In the end, it was mostly there as a setup for the sequel. I don't know why but it didn't connect. some facts about historical monuments and security at government facilities are totally Bogus. But the main problem for me was the unfinishness of the book, and concentration of plot. OK take ALL the conspiracy stories/threads/rumours that you may have heard of, wrap them ALL up in a messy story populated with cartoonish characters and beyond suspension of disbelief concepts. This story, and ( likely, as I won't download any further ones ) the rest of the series is juvenile, and bordering on plain silly. Avoid it unless that is your preferred type of audio book. PS. The performance isn't as bad as the story. This book told a story I've either read before, watched on TV before or seen on a movie screen. Having said that I still loved this book because of the suspence. I couldn't wait to read what happens next and those are the books I really get into. The book's main carractors are very different people investigaing UFOs & Aliens and they end up in the end saving our planet. You have the Goverment investigator (Presidential Science Advisor), A journalist (Looking for her missing friend), An old man from WWII with many secrets to tell and a Military man who just happens to work in Area 51. They all start out in the story not knowing each other but by the end they trust no one but each other. 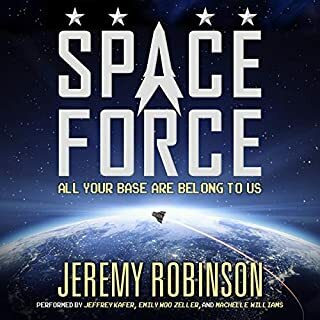 Best of all, when the book ends you can't wait to buy the second book in the series "Area 51 The Reply" to find out what will happen next and that is how you sell a story. If you are into UFO & Alien stories then this is a good story to read, but if you are looking for realizum don't waste your time, remember this is just a story to read and enjoy, it is not based on real events - I hope. "Ten Star" all the way! A real page turner but NOT "brain candy." - Many characters, each with a well defined role within the subplots. 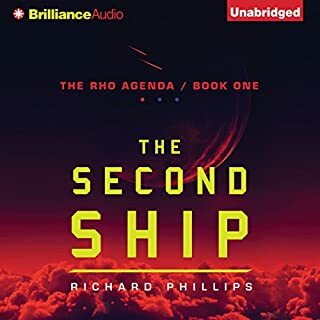 Some audiobooks can be listened to on "autopilot" - (not this one) - get the most out of this novel by careful listening and actually follow the subplots. 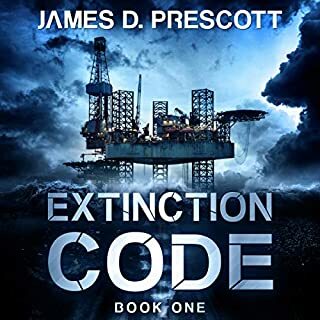 There is believable science fiction, believable intrigue, believable action and suspense. The author has expertly interwoven the facets into a spectacular "page turner." Not one "page" of this book was superfluous. Not one paragraph was boring. You will be spellbound from the beginning to the end. Wish I could have rated this book a "ten star" but unfortunately, we're limited to a five-star only. You definitely will not be disappointed. A really good story! Thoroughly enjoyed! What did you love best about Area 51? The subject matter was interesting - bordering between fact and fiction, stimulating the imagination! 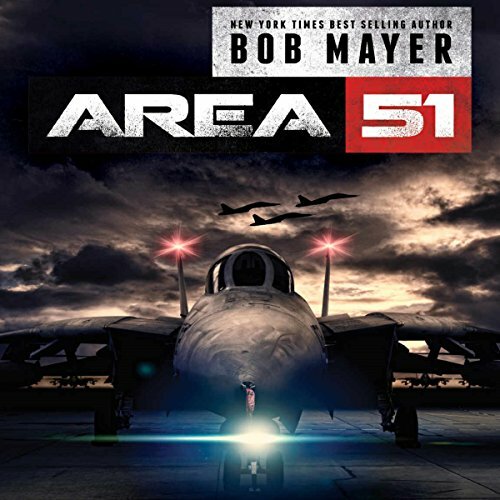 What other book might you compare Area 51 to and why? The ending was kind of abrubt, or at least it appeared that way. The story was going at a particular pace throughout, then near the end, it seemed like things just moved so much faster, but perhaps that was just the adrenaline of the moment! I loved this book! It was the first one in a long time that I wanted to listen to all the way through. The author blends all the story lines of Ancient Aliens, UFOs, conspiracies, Ancient pyramids, and similar theories into a cohesive and well though out story. The characters are likeable. No silly romance side stories. It moves quickly but is easy to follow and actually makes a lot of sense. The main characters are diverse with an archeologist, journalist, special ops soldier, old Nazi scientist, presidential aide all coming together to form a team to solve the mystery. Excellent narration. I highly recommend it for anyone who likes this type of book. I will listen to it again and again. Very enjoyable with a fast pace that never lags. Decent story, not great narration. I enjoyed the story and its Independence Day kind of feel. It was fun! But the reader was more hinderance than help. Really, if you have an important character that is German and involves a lot of time in the story, please get someone that can voice a German accent! This reader sometimes reads that character as a Frenchman and at other times who knows what accent. But it seldom if ever sounds German. It kept breaking the fourth wall for me. So even though I enjoyed the story, I couldn't get past the reader. I confused this book with one of the same title Area 51 by Annie Jacobsen, however; the book was very interesting and action packed, with some real historical facts. I enjoyed listening to this book, no regrets. The story was Ok not the best I have heard but by far not the worst. Its a good book over all think its just seting up the series. This is exactly what I look for!! absolutely loved it. a great story that manages to weave all the conspiracy stories we've heard over the years to the ancient alien in Atlantis myth. 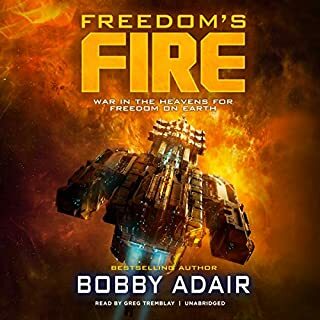 A fabulous read that lends well-known unaccountable facts with credible science fiction story inhabited by well-drawn charachters. And the narration is perfectly rendered. Well done. I highly recommend it.